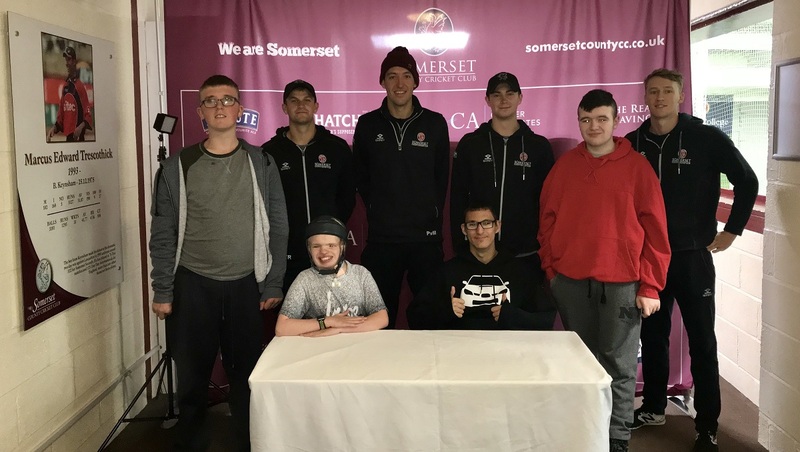 Four members of the Somerset squad were put through their paces at a special press conference recently as part of the fourth and final session of this year’s special education partnership with Selworthy School. Selworthy School is a co-educational special school for children and young people with learning disabilities aged 4 to 19. 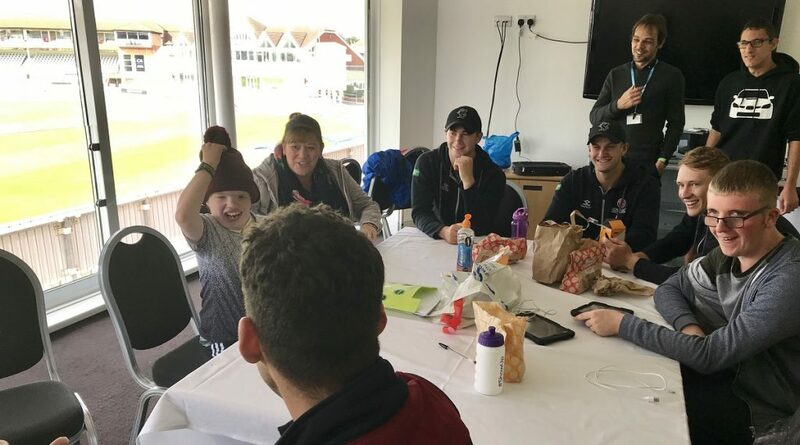 This session saw a number of students take part in the literacy element of the four-part programme at the Cooper Associates County Ground. Learners and staff from the school were given a guided tour of the Ground and were shown all the behind the scenes elements that people don’t normally get to see. The tour began in the Andrew Caddick Pavilion where they met some of the players and were shown around the dressing rooms and players gym. The students were then treated to a demonstration of bat making at Millichamp and Hall before visiting the Media Centre in the Somerset Pavilion. Students and staff then ate their lunch in a hospitality suite before taking on the role of journalists at a special press conference where they interviewed Paul van Meekeren, Eddie Byrom, George Bartlett and Tim Rouse. The afternoon was then spent writing up a report of their day for the school paper before spending the remainder of the day chatting and relaxing with the players. At the end of the day Upper School Lead, Chris Willcocks said: We’re extremely grateful to Somerset County Cricket Club for the fabulous day we had here today. Our learners have enjoyed themselves and there have been some brilliant opportunities that they might not have otherwise been given. 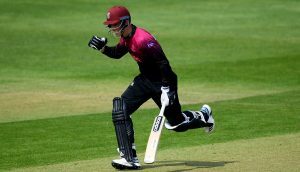 Spencer Bishop, Somerset County Cricket Club’s Media & Community Executive, organised the day and was delighted by how it went. “Our partnership with Selworthy School is going from strength to strength,” he said. “The learners seemed to really enjoy themselves and the players certainly got a good grilling at the press conference! “The key for me is that we are getting some really positive feed back from the teachers at Selworthy regarding how the scheme is having a positive effect on the learners who are involved. That was the entire reason for forming this partnership. We want to be able to positively impact the lives of these remarkable children. 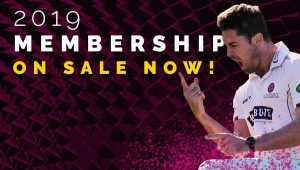 “All the players who have taken an active role in the scheme have also taken a lot from it, so it really has been a win-win arrangement for all concerned. Healthy eating – SCCC players visited the school and helped the students to cook a healthy lunch. Numeracy – SCCC players helped to deliver a cricket themed maths session and took an active role in the school assembly. 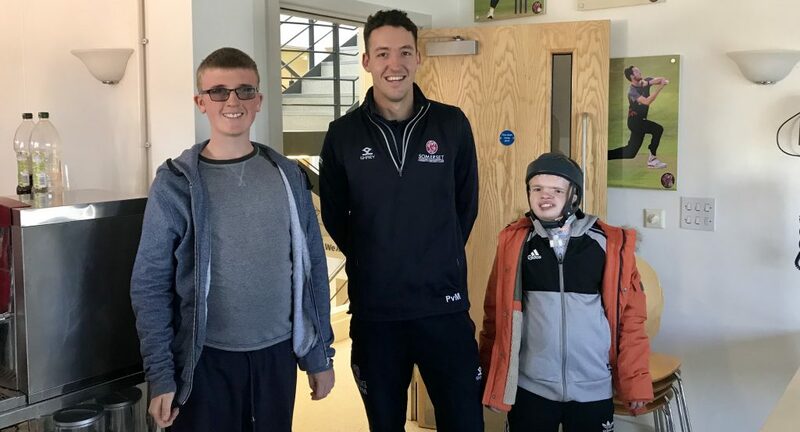 Physical activity – Students visited the Cooper Associates County Ground and took part in a fun training session in the Centre of Excellence. 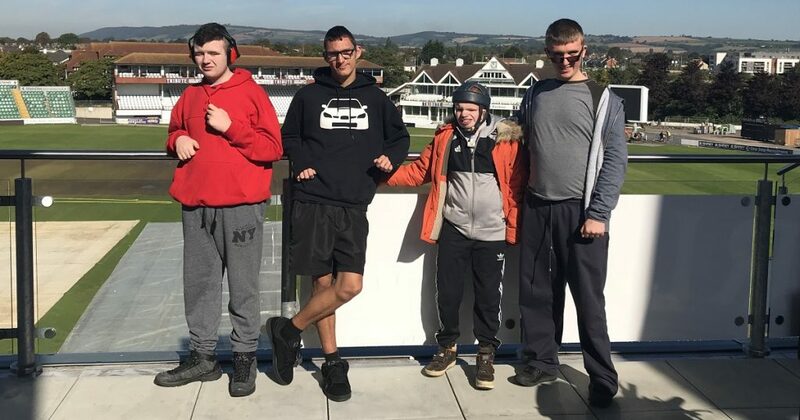 Literacy – Students visited the Cooper Associates County Ground and had a tour. This was followed by a press conference with SCCC players. The students then spent the afternoon in a hospitality suite writing a report of their day.